Convict James Cole (Bruce Willis) travels back in time to learn the truth a devastating virus outbreak and begins losing his grip on reality just as he finds himself falling in love with the world and the people he meets in the past. 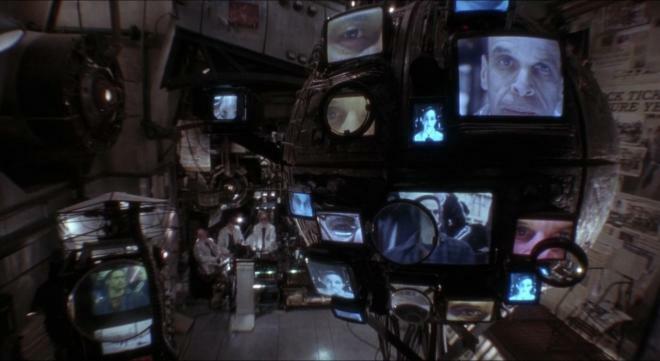 12 Monkeys is a mind-trip of a movie that seamlessly blends rich Terry Gilliam production design, excellent performances from all involved, and one whopper of a story. 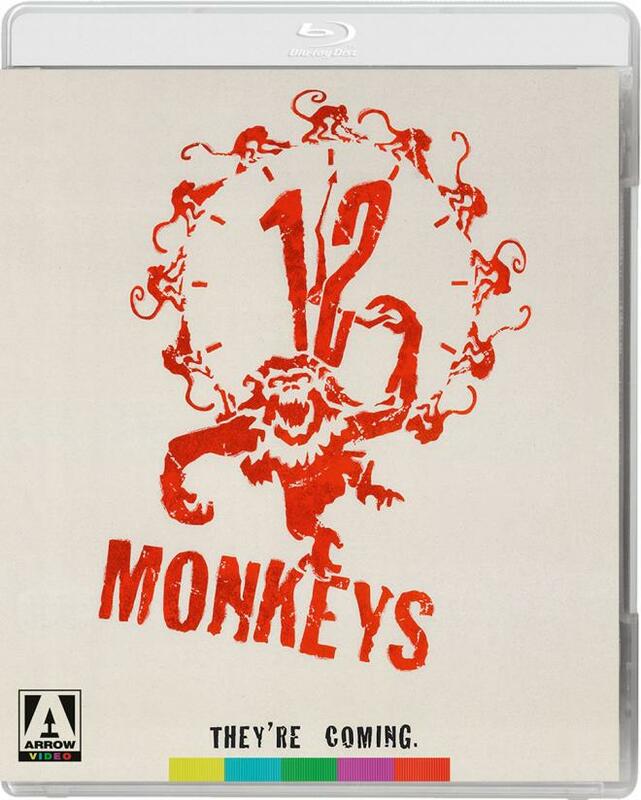 As a Special Edition Blu-ray, the film has received a 4K restoration as well as a remastered 5.1 soundtrack -- 12 Monkeys looks and sounds better than ever. Highly Recommended. In my humble estimation, Terry Gilliam is one of the most misunderstood directors of our time. He's a true visionary, often limited by Hollywood-budget constraints imposed by executives who fail to see or admire his daring delusions turned into reality (I'm thinking here of Lost In La Mancha). Although his wildly inventive imagination has produced extraordinary pieces of cinema (Brazil), most, if not all, of his films are a bit tough for general public consumption. Outside of the Monty Python films and Time Bandits, 12 Monkeys, his sci-fi thriller about a future dystopia, is his most easily recognized commercial success (and not by much). This a surreal and inspired film that makes intelligent use of the time travel theme to comment on modernity --- a feverishly rambling tale about consumerism and technology. It's a grim and chaotic vision exploring a fine line between madness and sanity, determinism, self-destruction, and the lack of communication. In 1996, a deadly epidemic kills 99% of the human population, forcing the remaining one percent to take refuge underground. In 2035, the convict James Cole (Bruce Willis) becomes a reluctant volunteer for an experiment to travel back in time. His mission is to gather information about the origins of the lethal virus and a group known as "The Army of the 12 Monkeys" believed to be responsible for its release. Arriving at the wrong time, Cole is imprisoned and institutionalized. There, he meets Dr. Kathryn Railly (Madeleine Stowe) and fellow inmate Jeffrey Goines (Brad Pitt), and shares many of his warnings about the future. Eventually returning to his present time, Cole is given another chance to locate the terrorist group and the virus in its pure form. In a race against time, he and a now-convinced Kathryn try to stop the revolutionists. But Cole is already questioning his sanity at this point and must try to figure out if the real world is a product of his imagination. With so many deep underlying questions on the bleak outcomes of our technological advancements, Gilliam does an impressive job of keeping it all together in an entertaining and coherent manner. Typical of his other work, ideas are expressed visually, taking a straightforward plot and turning it into a more fantastical, cryptic, and maddening exploration into the relationship of power and the individual. Look at how the scientists of Cole's present time are contrasted with scenes of him in the past interrogated by psychologists at the institution. While the methods of communication have become more perverse in the future, their disciplinary effects remain the same. Cole is kept at a distance from them, always reminded of being the "other", whether criminally or mentally divergent. On television, cartoons and animal testing are shown in the asylum and the Woody Woodpecker "time tunnel" episode comes on in the motel. 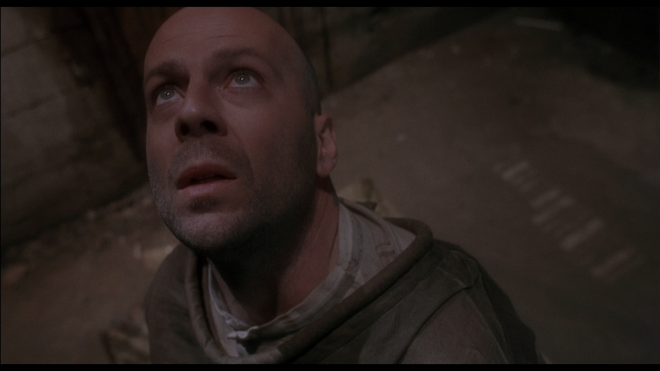 Gilliam also depicts a past that looks just as dilapidated as the future, and makes references to Hitchcock's Vertigo, which also involves questions of time and memory. If there are any drawbacks to this excellent psychodrama, it is in a script that seems to hold back from taking its delusions full force, keeping in check its scrutiny of modern civilization just below the point of attack. To be sure, the story by David Webb Peoples (the mind behind Unforgiven and co-writer of Blade Runner) and Janet Peoples is well written and conveys much to think about, but seems to only touch on the surface of its ideas. Inspired by Chris Marker's 1962 short film, La jetée, the dialogue, especially Jeffrey Goines' comments on society, is thought-provoking and suggestive, but delivered as disjointed Foucauldian thoughts that could've delved deeper. However, it could just as easily be argued that the randomness is deliberate and adds to the film's mind-puzzling narrative. Nevertheless, the script's strongest feature is the shocking denouement, giving way to a concern in determinism, where an individual is aware of her/his condition but incapable of doing anything about it. In spite of these minor flaws, Gilliam delivers a nicely-crafted sci-fi flick which appeals to the intelligence of its audience. Brad Pitt gives one of his most fierce and disturbing performances, earning him his first Oscar nomination and providing the film with its black-comedy element. Bruce Willis offers also a convincing portrayal of a dejected man on the brink of insanity, caught in a life that is endlessly replayed. 12 Monkeys strives beyond a cautionary tale about technology gone astray or the effects of time travel. It's a haunting series of images and ideas which prompt discussion and numerous viewings. Or as Cole says, "Every time you see it's different, because you're different." "12 Monkeys was exclusively restored by Arrow Films and is presented in its original aspect ratio of 1.85:1 with stereo and 5.1 sound. The original 35mm camera negative was scanned in 4K resolution on a Lasergraphics Director at EFilm, Burbank. The film was graded and restored at Silver Salt Restoration, London. Grading was supervised and approved by Terry Gilliam. The stereo and 5.1 mixes were remastered by NBC Universal." 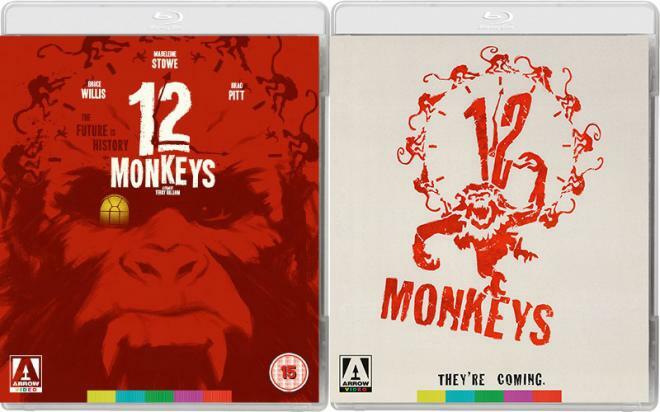 12 Monkeys travels back to Blu-ray for the second time with a "brand new restoration from a 4K scan of the original negative by Arrow Films, approved by director Terry Gilliam." And, while the results may not be pure demo-material perfection -- this is a stylized movie with a soft production style -- 12 Monkeys looks better than ever. Fans should be delighted. 12 Monkeys has never been a sharp movie, especially compared to modern cinematography trends, but previous releases -- from DVD to HD-DVD to Blu-ray -- have featured dirty, gritty, subpar transfers with washed-out contrast. This new Special Edition fixes most of these problems. Contrast is improved, though black-levels are imperfect, colors are vibrant, skin tones are natural (when they're meant to be), and I didn't catch any dirt, debris, scratches, hairs, or any signs of damage. This new transfer is also very filmmic, with a nice sense of grain structure. 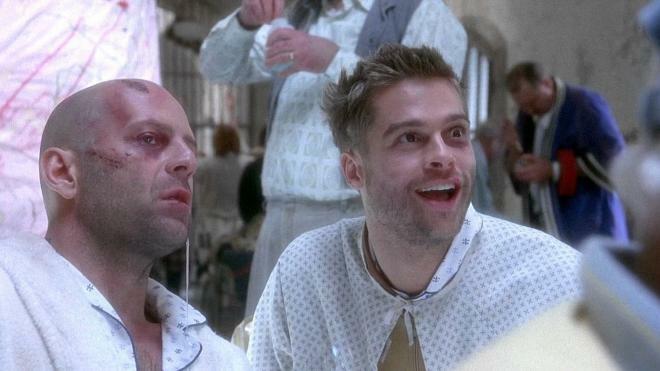 Despite these improvements, 12 Monkeys remains soft and perceived details fluctuate from shot to shot. Certain close-ups and establishing shots are clear and well-resolved, while others are fuzzy and almost dream-like in their appearance. As far as I can tell, this is 100% true to the filmmakers' original intent, making this Blu-ray a success even if it doesn't live up to the Blu-ray format's full potential. Well done, Arrow Films! 12 Monkeys boasts both 5.1 DTS-HD Master Audio as well as 2.0 PCM stereo soundtracks, and the results are quite strong even if they're not as dynamic or immersive as more modern surround mixes. Outside of a few key sequences, it's a fairly front-heavy mix overall. Still, there are moments -- like the World War I trench, the inside of The Army of the 12 Monkeys HQ, and any scene with lots of music -- where the mix tosses the sound behind the audience. Voices are perfectly balanced. The sound designers made great efforts to build out the environments around the actors, be they exteriors or one of the many echoey interiors. In other words, there's a nice sense of space and geography in most sequences. There are also moments of punchy LFE (though nothing gobsmacking). On the flipside of the coin, a small portion of the effects themselves sound a little strained, as if they're lacking in dynamic range. And the mix isn't particularly aggressive in how the effects pan side-to-side or front-to-rear. Also worth noting for anyone so equipped: this track up-mixes quite well via DTS:Neural:X, which not only lifts the music into overhead channels, but also discretely places specific sounds in the side and rear channels with such accuracy it feels like a native DTS:X mix at times. 12 Monkeys may not be exceptionally aggressive, but it's a densely populated with a complex blend of music, effects, and voices, and delivers an engaging listening experience. As long as you're not expecting constant rear-channel activity, this remastered 5.1 12 Monkeys track sounds excellent. Audio Commentary - Director Terry Gilliam and producer Charles Roven provide the voiceover, covering much of the same ground as does the next featurette. But on the bright side, Gilliam is entertaining as always with his dry sense of humor and wry comments about the business side of Hollywood. Both men offer some great technical insights on the film's production, from the performances to the visual style. The track is breezy and informative, likely enjoyed by fans of the film more so than the casual viewer. Featurette: "The Hamster Factor and Other Tales of the 12 Monkeys" (SD, 87 min) - By far, one of the best made and most comprehensive making-of documentaries available anywhere. From the same team that gave us 'Lost in La Mancha', the feature is a film in and of itself, following a Gilliam production from beginning to a very frustrating and arduous end. Filmmakers Keith Fulton and Louis Pepe are granted unheard of access to every aspect of the film's making, full of the drama and difficulties Gilliam is forced to contend with almost every time he works to realize his vision. It's most intriguing aspect lies in the power struggle between the imaginative director and his financers --- the arguments which rage behind the scenes. This is a must watch not only for fans of 12 Monkeys, but also for film lovers in general. Featurette: "12 Monkeys Archives" (SD, 4 min) - The still gallery is a collection of images, ranging from concept art, promotional material, storyboards, and production photos. Theatrical Trailer (SD) - The original preview is included. A lost man sent to the past to save the future, and along the way he loses his mind and falls in love. Is he actually crazy? Can he be cured? Can the future be saved? 12 Monkeys is a thrilling, emotional story featuring excellent performances and richly-designed visuals. It's one of my favorite movies of all time. Arrow Video has done an excellent job with this new Special Edition Blu-ray, easily besting the previous Blu-ray and HD-DVD releases even if this particular movie will never be the sharpest movie on your shelf. 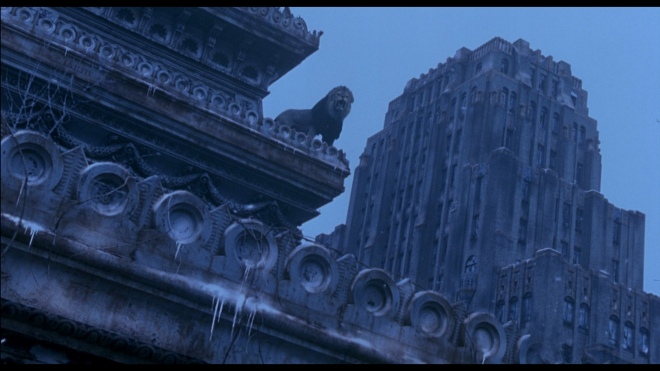 Still, with a new 4K restoration and a remastered 5.1 DTS-HD MA soundtrack, 12 Monkeys looks and sounds terrific. Coupling that with the attractive packaging, informative essays, and well-rounded Special Features package, we call this one Highly Recommended for fans or anyone who loves time travel movies.